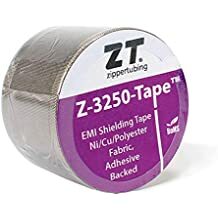 Zip On Pvl - Lightweight Jacketing - Wire And Cable Bundling - Products - ZT | Zippertubing Co. The combination makes Zip-On® (PVL) easy to cut to size and perfect for circuit or system color code identification. Zip-On® (PVL) is a lightweight wrap around cable management jacketing with a soft, flexible, coated fabric texture for general purpose applications. The fabric reinforced construction makes it ideal for discrete cables, wire harnesses, hoses, and other applications where its high flexibility, strength and abrasion protection are needed. Zip-On® (PVL) is made from 10-mil thick Mil-C-43006, Type II, Class 1 flame retardant Polyvinylchloride impregnated Polyester fabric. This product utilizes Zippertubing's versatile R-Track or Z-Track closure systems and the jacket material is available in six different color options (Black, White, Grey, Red, Yellow and Blue). The combination makes Zip-On® (PVL) easy to cut to size and perfect for circuit or system color code identification. The material features good abrasion and fluid resistance with an operational temperature range of -20 to 82°C. 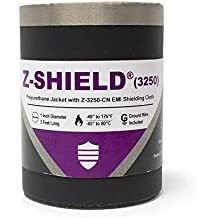 Zip-On® (PVL) is supplied in standard form as a non-UL product, but it can be supplied as a recognized component with a Underwriters Laboratories UL224, VW-1 flammability rating. Zip-On® (PVL) can be configured for Round, Flat or Rectangular shaped cable groupings. Refer to Zippertubing's PVL data sheet below for specific material characteristics. A lightweight, abrasion resistant, fire retardant Polyester fabric, laminated or extrusion coated with Polyvinylchloride (PVC) on both sides. Material has been tested and meets UL224, VW-1 flammability requirements per UL File E72210 when combined with Zippertubings R-Track or Z-Track closures. Finished material shall meet the intent of Military Specification MIL-C-43006G, Type II, Class 1. The material shall be flame retardant and heat-sealable.